If you're not an invader you're not going to know how to defend a colony properly. 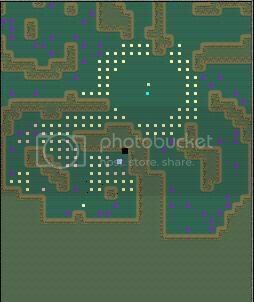 This Tutorial is to teach new players how to defend a colony that will deter pro invaders. (It is a work in progress, comments are welcome). It is absolutely critical to have a powerful solar cannon. Fortunately, it is now much easier to have a strong solar with the refinery sliders patch. It is now possible to have a strong solar on almost any planet type, but I love Earths, Oceans, and Mounts. All three of these planet types can have strong solars and make good money. What you're aiming for is a solar that is atleast a 7 shot 90 burst per minute. Though you should be able to get higher with the settings I will show you. The key rule is that higher bursts per minute is always better than the number of solar shots, if you have to choose one of the two. This is because when you have higher bursts per minute, all your lazors shoot faster as well. The below picture is a 9 shot 107 burst, which is not bad.. that best you can do is 10 shot 120 burst (if this colony below had some researches it easily would be a 10 shot 120 burst). Additionally, when choosing a spread I almost always do narrow. This is because a concentrated spread is often too easy to dodge and medium and wider spreads don't "hurt" enough. Medium spreads are acceptable. Now, there are three things you have to do in order to get your solar cannon in the desirable range of power. Firstly, you need to get the population of your colony to 9000 - 11,000 (a mount can be 7000 - 9000). In order to do this successfully you need to build every building on your Earth, Ocean, or Mount. For Earths, set your colony at 4% tax and socialism, and harvest organics, medicine and oil, but no anaroebes. For Oceans, set your colony at Democracy and 6% tax, and harvest organics, medicine and oil and anaroebes to about -40 per hour. For mounts, set your colony at Democracy and 6% tax and harvest metal and uranium. Then use the atom smasher to turn metal into organics, oil and medicine, but no anaroebes. These setting will stabilize your colony in the desirable population range. If you get the researches weather prediction or channel descrambling on an ocean, lower anaroebes slightly more. Researches may cause these settings to need to be tinkered with slightly (make sure you don't get to a point where your morale is is falling and pop is growing). 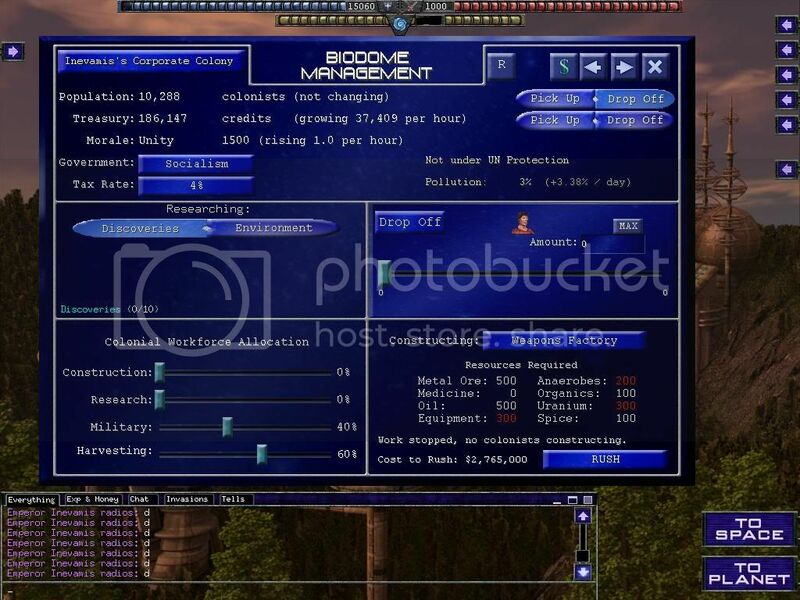 *Note: For servers like The Old Republic which have a population cap set at 10,000, there is no need to use the population stabilizing settings described in the paragraph above. Just harvest organics, medicine, and oil but no anarobes. The second thing you need to do is set your military to about 40%. (However, if you get the research military tradition this can be lower). If you find that your solar is 120 bursts per minute with 40%, see if you can lower military a little bit and still be at 120 bursts per minute. The third thing you need to do is set the sliders so you're making as much metal as possible (because the solar canon uses metal, and if you run out of metal your solar will turn off completely). 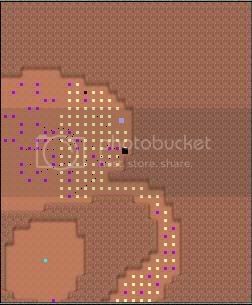 The more metal you can harvest the more shots per burst you'll be able to do (getting to 10 shots per burst ideally). You do this by moving the metal slider so that it is max. Then you move organics, medicine, and oil sliders so that they are just above 0 per hour... just enough so they are not negative. For earths you don't need any anarobe production so turn the slider completely off. 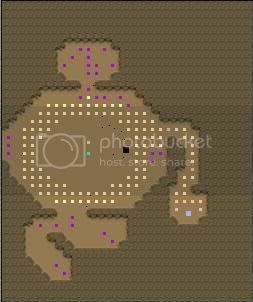 For oceans raise the anarobes one to around -40 per hour (this gives partial harvest, meaning your population will shrink sometimes and grow other times... but it will balance out). For mounts move the sliders so that you're only doing metal and urnanium. Set it so that you're doing twice as much metal as uranium (then smash organics, oil and medecine like I mentioned earlier). *Important notes: Most researches are going to make this process even more powerful. For example, if you get a research that improves your organic harvest, then your organic slider can be lower and your metal slider can be higher. You should always try to get researches.The above colony doesn't have researches so you can see how easy it is to get a strong solar. Secondly, if you want to make weapons in a weapon factory you're generally going to have to weaken your solar slightly because you need to harvest some urnanium and equipment (this takes away from how much metal you cam harvest). 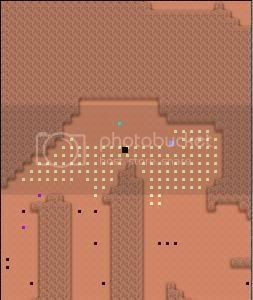 However, if you get good researches you should have more than enough room to harvest uranium and equipment (you need to make about 25 per hour of each ideally). The best planet for building weapons is a mount because you're already harvesting lots of uranium and you just need to smash some equipment on top of the other things you are smashing in the atom smasher. To compliment a strong solar you want to have good dome placement on a well layed out planet. Needless to say, you want to have the maximum amount of lazors possible on your colony... this is 125. It is also generally good to have 1 layer of compound mines around your dome. The number 1 thing you want to avoid is making a colony that is slideable. 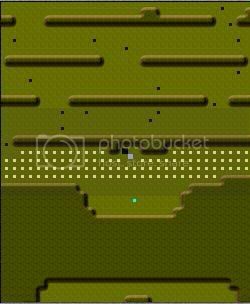 This is when an invader can easily fly inbetween you lazors and a wall without even killing the lazors. The colony in the picture below, for example, was invaded using 16 nukes or less. These colonies are referred to as "Rings," and are an invaders dream.. so never build them! 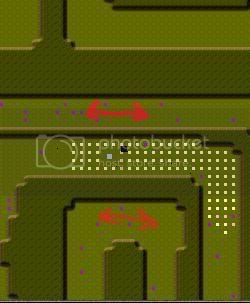 The red line shows where an invader could just squeeze thru and then he just has to fly to the dome and open it up. You can make a colony harder to slide by making the invader have to turn. 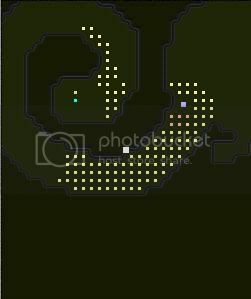 The colony in the picture below would be even easier to invade if lazors weren't wrapped around the walls like they are, requiring the invader to make more turns when sliding. Another good tactic to use is using distractor lazors. 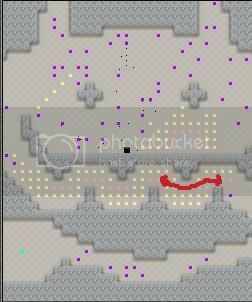 This is possible because a nuke will generally veer towards the closest lazor to it when it is shot.So in the picture below, if you were trying to shoot the lazor at the red dot... the lazors pointed to by the red arrow could cause the nuke to veer upwards and get "stuck" on the wall. This means invaders will have to fly further in towards the lazors they want to blow up so their nukes don't get "stuck". Now the type of layouts you want to have are not easily slidable but generally do have some landing defenses. 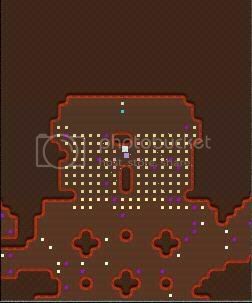 The absolute best layouts have the dome behind a wall that you need to fly by to get on and off the colony. Some good ones also have the solar very close to the landing but are not easily slideable (these are good because you land with 0 energy, and the solar prevents you from regaining energy upon landing). Below I will post a few dozen solid layouts, with some of my favorite in the first few. Some of the red arrows show an example of how you have to fly right by the solar to get on and off. Now there are many more possible layouts but its safe to say that these are some of the best. 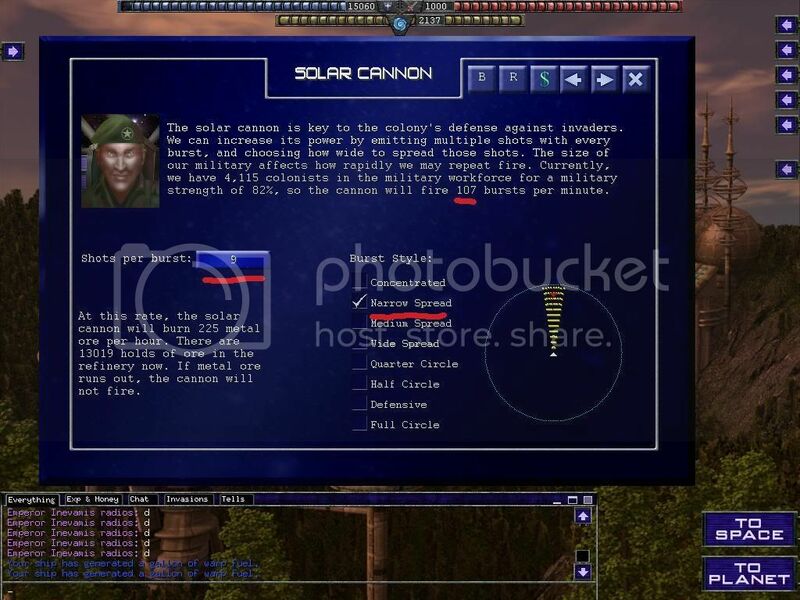 *Note: Remember that for these layouts to be effective it is assumed that your solar cannon is at least a 7 shot 90 burst, preferably more (an 8 shot 100 burst is very attainable, all the way up to a 10 shot 120 burst). A lot of these layouts also have places where nukes are going to get "stuck." Last edited by inevamis on Sat Jun 12, 2010 6:48 pm, edited 19 times in total. Good guide. I like you showed several layouts and them defended. Should help out with starters. I now have a thread to direct newbies to when they ask how i so easily invaded them . ya.. but it would be better worth your time and effort to build a colony that some1 cant come along and take in 10 mins... try to make it a nuke eater atleast. If you look at the arrow pointing to that single laser. I'd mention trying to avoid defending rings in such a way as to leave lasers like that. It's fairly easy for even a moderately skilled invader to precision that nuke open, and have a slide on and off the col opened. I should make a guide for invasions based upon my experience. Or you could just watch cap video's like chicboy's or ours if we ever finish it and learn a few tricks. agreed... ring defenses suk in many ways. I more often than not just precision nuke them too. If the wall isn't so thin a lot of times its still easy to precision nuke 1 lazor out, making it a straight slide or only 2 turns (or just use explosive charges). 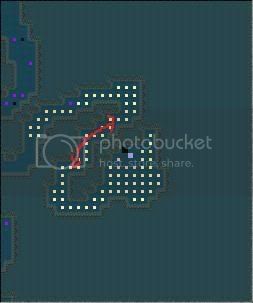 This colony could be taken with just explosive charges very easily. When I build these, i always put the dome at the bottom of the chamber the brown arrow is pointing to. I love building these layouts, because they are both tedious to invade and easy to defend well as a nuke eater. In remote arms, they're great to own, simply because with high enough military, they ward off less experienced invaders. i'd be careful about saying to keep the solar narrow too.... on planets where the dome is a long way from the lz, i prefer a wider solar spread to make it more difficult to dodge. 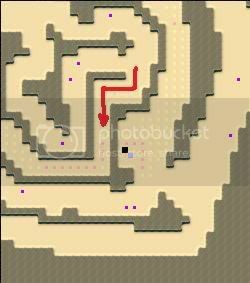 a narrow solar is only really effective if the player must travel a long reasonably narrow passageway that doesnt wind around too much. in other words, a narrow burst is easy to dodge, and often only does real damage if the player gets a bad bounce off the wall or the dome. a narrow(ish) spread on the superwide layout (if its still called that) would be a poor choice because there is so much room to move around in. I agree that narrow on a superwide is a bad idea. Usually the farther away the dome is from the warp the more beneficial a narrow spread would be because as the solar travels it spreads wider, so for even just a medium spread if solar goes far enough it is actually easier to dodge in between the shots. Although, when there is a solar distracting spot nearby dome narrow is easy to throw and avoid damage. 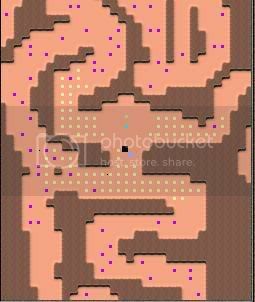 Basically it comes down to the layout, but generally narrow makes it harder to remove the defenses and wider spread makes it harder to actually cap. I really like your domes placement inev, keep going. wouldn't your amount of shots effect the spread settings you have just like the layout? Actually, rings are the utter bane of people with sucky internets:P. I know, I used to have one... my game would just basically freeze whenever I landed on a ring... LOL. Also, any theories on how the modules will effect invading? I havent been able to log in and test this, because the dorm room internet isnt so good...probably all the freaks on x box live haha. 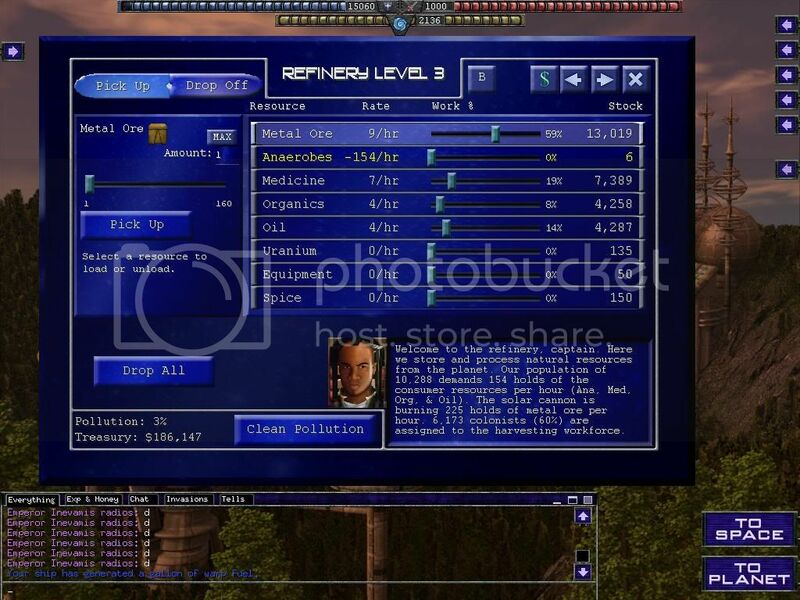 tekkamanblade wrote: wouldn't your amount of shots effect the spread settings you have just like the layout? Definitely. I ALWAYS go concentrated if (heaven forbid) I leave a col on a 3 shot. At 5 shot, it's ALWAYS narrow burst. 7-9 is where I tailor the solar settings to the planet layout and dome placement. On most nuke eater lay-outs, in my opinion, 9 shot medium burst does pretty well in causing the invader to spend the most time/fuel, whereas 9 shot narrow has a better chance in podding or scaring away a potential invader. The unfortunate thing is that there is hardly such thing as a 'nuke eater' anymore. Planets are much more susceptible to invasion due to surface missiles - as a community I think we need to start coming up with new strategies/dome placements on some planet layouts. FearTHeFrO wrote: I really like your domes placement inev, keep going. At the bottom of that page I've got a few decent dome locations marked off on many new layouts. If anyone else wants to add some to that thread or here, that'd be great. I dunno I wrote this from my perspective as an (pro) invader ... medium shot solars sound good on paper... but in reality they are weak and non-intimidating. Builders always do medium and wide spreads... and I always change them narrow after I invade them without incident. I'm always like " that was a 100 burst?" What it comes down to tho is that pro invaders a;ways have tons of cash so don't consider shield money a factor into your decision on solar spread. I think I am gonna add somethign to the tutorial about using cmines too tho.. because I would never die if it weren't for cmines. The settings that I explained never have a solar weaker than 7 shot 90 burst... which is really weak and will almost always be stronger (my example colony is a 9 shot 100 burst with no discoveries). I find medium shot solars tickle. In almost all nuke eaterz you are far from the dome where the solar on a medium spread is spread so thin u can practically fly in between the shots. Toonces made solar shots weaker when he implemented multi shot solars and so this makes it especially ineffective if you're gettgin hit by 1 shot at a time. Narrow shots spread out as they get farther from the dome so they become like medium shots further away. IMO solars never pose any type of risk until you're in close... this is the solars chnace to pod you given you take a weird bounce hitting mines or something like that. This is when a narrow shot can kill you very fast. Even if medium shots could eat up a little more shields in the long run pro invaders have tons of colonies and dont care about money. Personally I've never been intimidated by a medium shot solar nor been killed by one hardly. 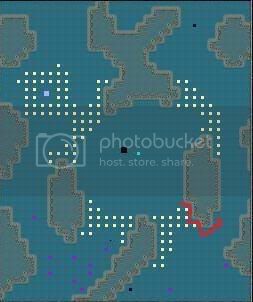 I beleive that a lot of the time it comes down making an invader think your colony is difficult/risky from the get go. Because I can honestly say that in all my years playing I have probably never not finished invading a colony that I started invading. Note, I did say in my tutorial medium spreads are acceptable (while anything wider is not). I think it's the second best option in most cases tho. They don't even get my heart pumping . There are a couple of rings that are nearly unslidaeble. The huge layout that has like 8 good placements is a good example. 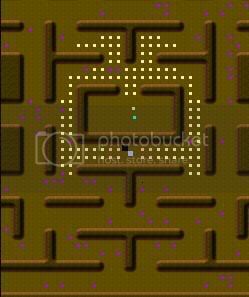 In this layout, only 6 sides can be slid. 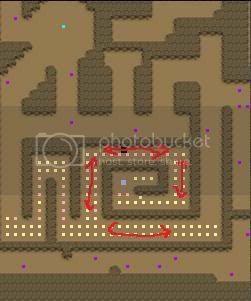 If you defend it correctly, the least amount of turns you have to do is 3 and that is with a long slide. I am not making nuke eaters anymore because the new patch has made them ineffective against... well... anyone with surface missiles... I think surface missiles that you buy for other ships should be nerfed slightly. (NOT the vulture ones, just the ones on OTHER ships). This would make the vulture a useful ship still and would also have the added value of making rings useful still. Before, rings were good because they were nuke intensive and time intensive caps. Very cool place for players to get an idea of what to do before they learn how to invade. Nice of you to take the time. Why hasn't this been stickied yet? 8's not a new layout, its the deep inside bottom left corner of an existing ring type layout thats been around since p1. tekkamanblade wrote: 8's not a new layout, its the deep inside bottom left corner of an existing ring type layout thats been around since p1. You're thinking of 9, look at number 1 to see where the numbe's fall. 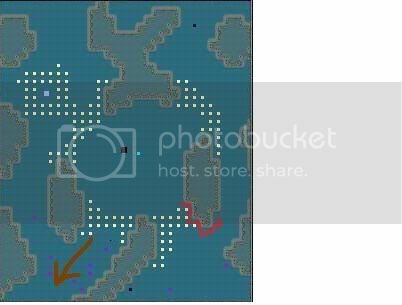 I know that the "hideout"/"dragontail" layout is on the left side of an otherwise crappy ring. Great guide Inevamis, there is no doubt that invading gives you the best perspective on how to defend a colony properly! You have obviously spent quite a bit of time perfecting the guide and it a great resource for new players. Well worth a sticky! and my tactical guide wasn't? have to admit though, this is a great guide. good job! I agree, this is an excellent piece of work. location, location, location. placing that starter planet in the middle of no where (as opposed to the un border) and it will be harder to find. place your world far from ports and it will take invaders much more fuel and time to conquer them. especially if the port and the systems between are stacked to the hardware limit with cmines. Tekk makes a good point, different things like c-mines could mean huge expenses for invaders if is far from port. 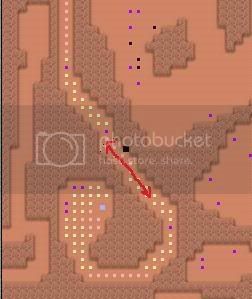 Due to surface missles making nuke-eater colonies easier to invade, the way to combat this is loading up those nuke-eater colonies with cmines and doming in an area where its more difficult to distract the solar cannon. Especially in systems with no port in it. Remember, every invaders worst enemy is time and fuel.